Turn your home into a smart home. Read on to find out more about what exactly this means, the advantages it brings and how Viessmann smart central heating systems and control technology can help you to upgrade your home, enhance your comfort levels and lower your energy use, helping you to save money and protect the environment. With the rise of digitisation, one concept is being mentioned again and again: the smart home. There is no universal definition of what this means, but in general the term is used to describe a property with a communication network that allows objects within it to communicate with each other and to be controlled using internet-enabled devices like smartphones, tablets and language assistants. In a smart home, a range of different appliances, from smart boilers to lighting, can be remotely controlled, accessed and monitored. When it comes to heating, smart boiler controls allow you to manage every minute of your home’s heating schedule from your smartphone or tablet with total ease. If you are at home, you don't even have to leave the comfort of your chair to enjoy full control over your heating, and some technology makes it just as easy to control everything when you are not at home too. Put simply, a smart home works on the principle of input, processing and output. 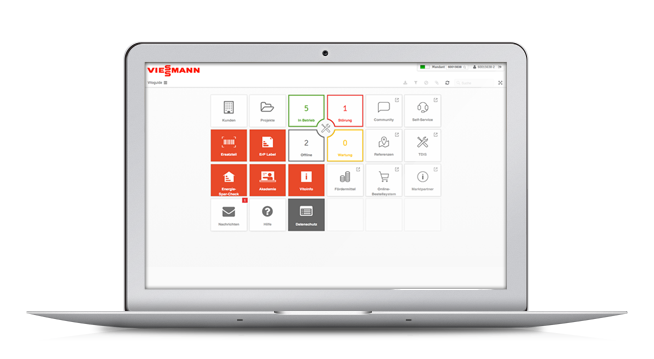 The best way to explain how this operates in practice is to use the Viessmann ViCare app as an example. Input: The app is opened using a smartphone or a tablet. 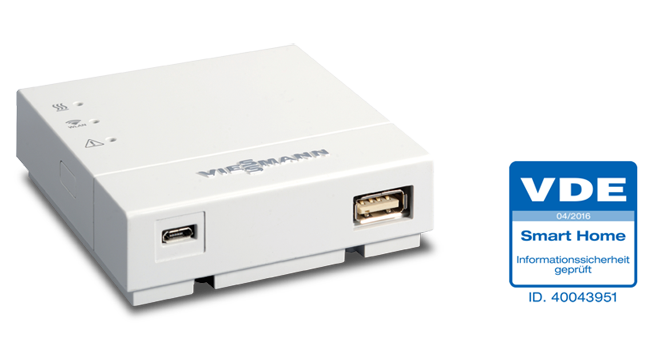 The user interface loads and displays numerous functions, including the setting of the desired temperature. The app user issues a command by tapping on the relevant control panel. Processing: Every smart home has a smart home control centre - in the case of the ViCare App, it is also called an internet interface. The command previously issued via WLAN (the desired temperature to be reached) is received and processed by this control centre. In addition to WLAN, there are other transmission standards such as Bluetooth, Z-Wave and KNX for the use of smart home devices, the latter being wired. Output: After processing, the command is executed using an output device. In this example, this is the heating system that transports as much heating water to the radiators as necessary to reach the desired temperature. Depending on the output device used, the app user may be informed about the progress and the result of the command. 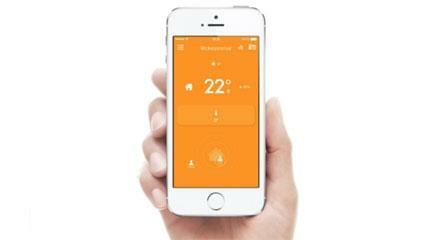 Cut your energy costs and enhance your comfort with our easy-to-install tado° thermostat and smartphone app. This WiFi interface establishes a connection that enables you to remotely operate your central heating system via a user-friendly app. It also supports remote maintenance through Vitoguide. 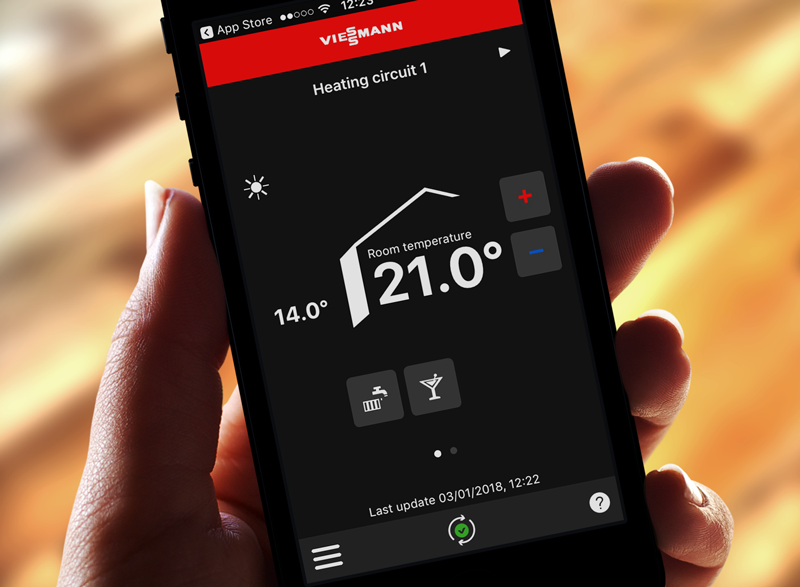 Making operating your heating easier and more intuitive than ever, our ViCare app allows you to adjust your heating times to suit your requirements using the integral wizard. The app displays cost savings instantly too. 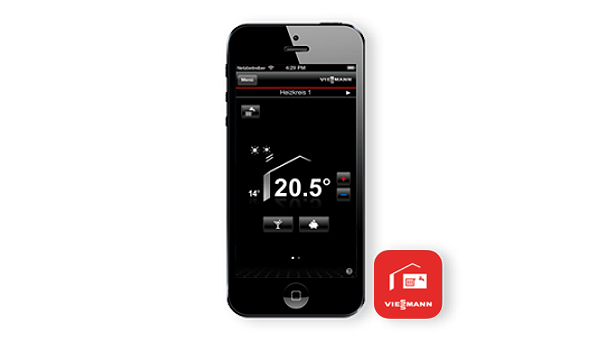 The Vitotrol app makes controlling Viessmann heating systems from your smartphone simple. You can operate your heating from anywhere and at any time with this app, which is available for mobiles with Android or iOS operating systems. Designed for our trade partners to use, Vitoguide software offers an innovative way to monitor heating systems.For homeowners, this means you have the peace of mind of knowing engineer can be informed if your heating system experiences any problems before you have even noticed, while trade partners are able to keep a continual watch online over the heating solutions for which they are responsible. In addition to the ViCare app example given above, there are many other practical applications for smart home devices, such as lamps, music systems and entrance doors. Other examples include robotic vacuum cleaners, smart washing machines, security cameras and coffee machines. Homeowners can choose smart technology for many different reasons, but among the most important are energy savings, increased comfort and improved safety. 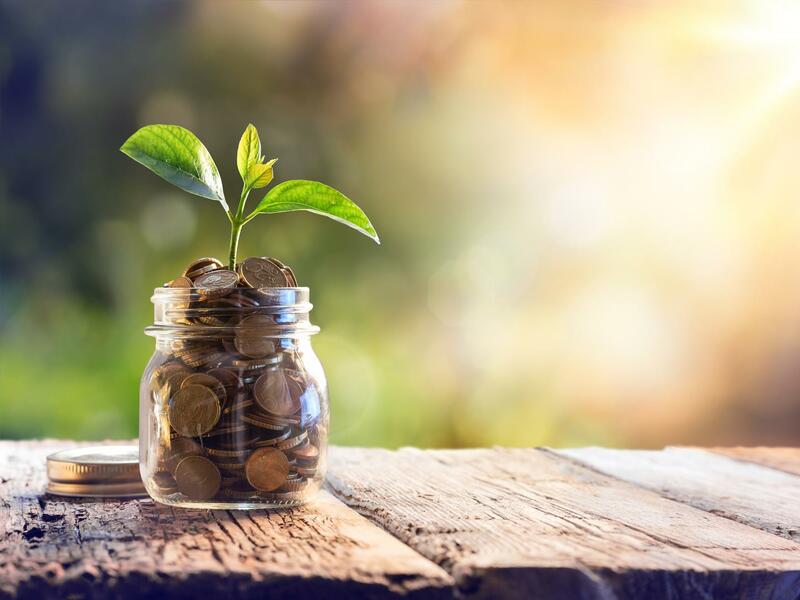 There are a variety of ways to bring your energy use at home down in order to save money and cut your carbon footprint - and one of these is to invest in smart and efficient heating technology. For example, you can take advantage of a smart home thermostat. The potential for savings in this area is huge because heat generation makes up a significant part of household energy use. 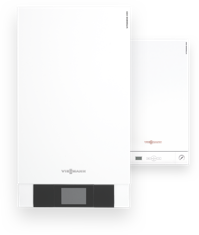 As well as being durable and highly efficient, Viessmann heating systems are designed for use in smart homes. In a few simple steps, many of our central heating solutions can be connected to the internet and converted into digital heating systems. All that’s required is the installation of an internet interface (Vitocom 100 or Vitoconnect) and an app to provide heating controls (Vitotrol or ViCare). Using a smartphone or a tablet, system owners can intuitively operate their heating system and adjust the output to match their specific needs. Numerous modes, such as the assistance function with different switching times for each day or the on-the-go mode, help to reduce energy costs in the long term. In addition to cost savings, a smart home with features like a smart boiler also increases ease of use. After all, many manual operations are no longer required. For example, homeowners no longer have to turn the thermostat to reach the desired temperature. If you want the rooms to stay warm longer than planned, a single command on the smartphone is all it takes. For those who travel a lot and would like to return to the comfort of a warm home, remote control via smartphone is the ideal solution, allowing you to control your system from anywhere at any time. Alternatively, the heating technology can be combined with other smart home systems that support a geofencing function. Based on the GPS data of the connected smartphones, the system recognises the current location of the residents. As they approach their smart home, the rooms are automatically heated to the desired temperature.